You may recall a few months back when AMD took out full-page newspaper ads to challenge Intel to a dual-core server duel. Intel declined to take up AMD on its offer, but the challenge got us thinking: what would the results of a dual-core desktop CPU fight look like? Many people equate Windows PCs with Intel Pentium processors (and soon will likely be doing the same with Macs), but we've seen dual-core CPU AMD systems power ahead of dual-core Intel-based PCs on more than one occasion. To answer the question once and for all, we circled up a bunch of cars in an abandoned parking garage and set ourselves to a no-holds-barred dual-core desktop CPU fistfight. 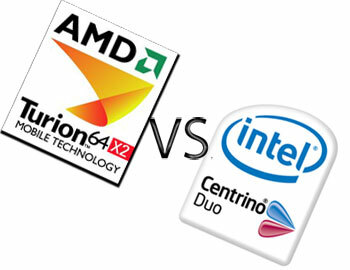 AMD submitted its five dual-core CPUs, and Intel matched with its lineup of four. We built two test beds as nearly identical as we could for the two platforms and ran each chip through a battery of tests. We then ran those results through our price-vs.-performance calculator to find out not only which is the best overall dual-core CPU in terms of raw performance but also which one offers the most bang for your buck. Skip ahead to the official ruling if you want, but the match itself is interesting.